Our Lady of Fatima was the name given to the Virgin Mary after multiple apparitions to three children in the village of Fatima in Portugal. In 1946 Our Lady of Fatima was crowned Queen of the world and statues in her image have been constructed ever since. The Pilgrimage Statues of Our Lady of Fatima have been to over 100 countries around the world. 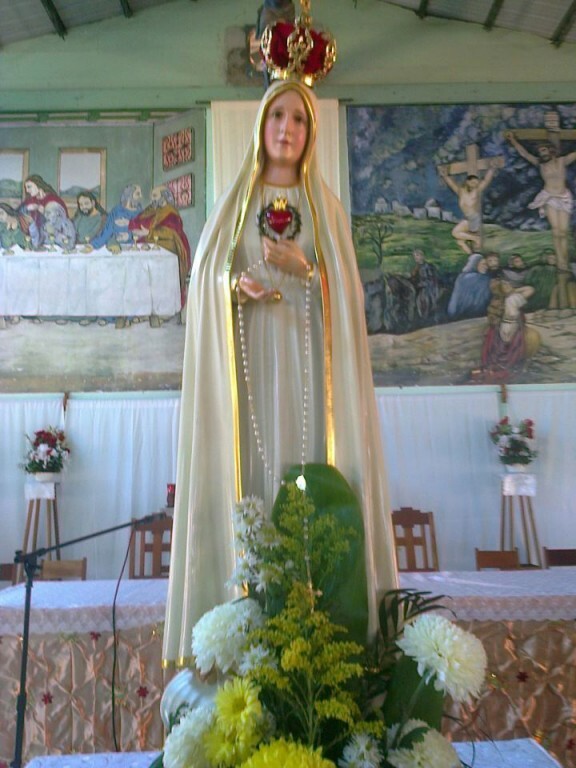 As Pope Pius XII said “In 1946 we crowned Our Lady of Fatima as Queen of the world, and the next year, through her pilgrimage, She set forth as though to claim her dominion, and the miracles She performs along the way are such that we can scarcely believe our eyes at what we are seeing.” Many claim that miracles occur upon her arrival to various locations. She is a revered saint across the world for Roman Catholics and there is no exception here in San Pedro Town. 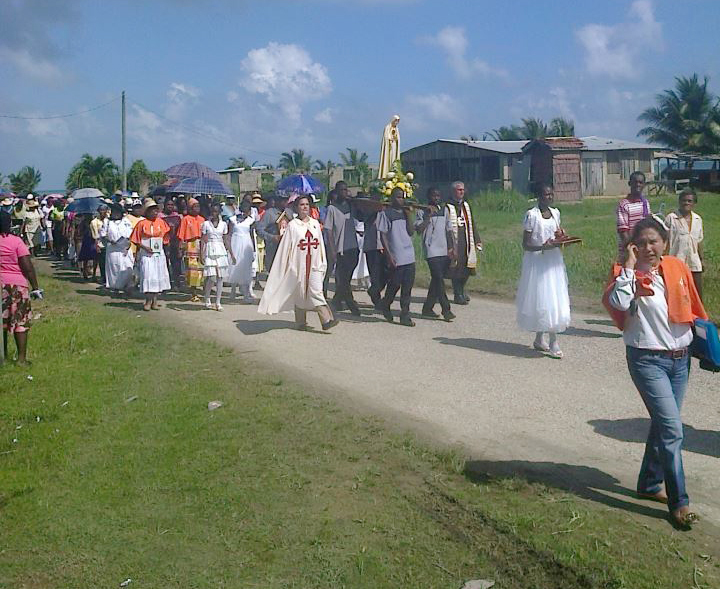 On Monday February 11th, the second Pilgrimage of the Travelling Statue of Our Lady of Fatima to Belize will arrive in San Pedro Town. The statue is scheduled to arrive at 4:00 pm at the John Greif II airport. The general public is invited to witness the arrival of Our Lady of Fatima. The coronation of the statue will take place at the San Pedro Roman Catholic Church at 4:45 pm followed by a rosary. At 6:00pm there will be a mass honoring Our Lady of Fatima followed by a candle light procession along the main streets of San Pedro Town. The event will continue onto Tuesday February 12th with a boat procession and blessing of the boats at 7:15 am. 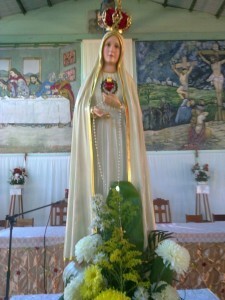 The Statue of Our Lady of Fatima is scheduled to leave immediately after the blessing. The Catholic community is especially invited to partake in the events and witness this annual holy moment.